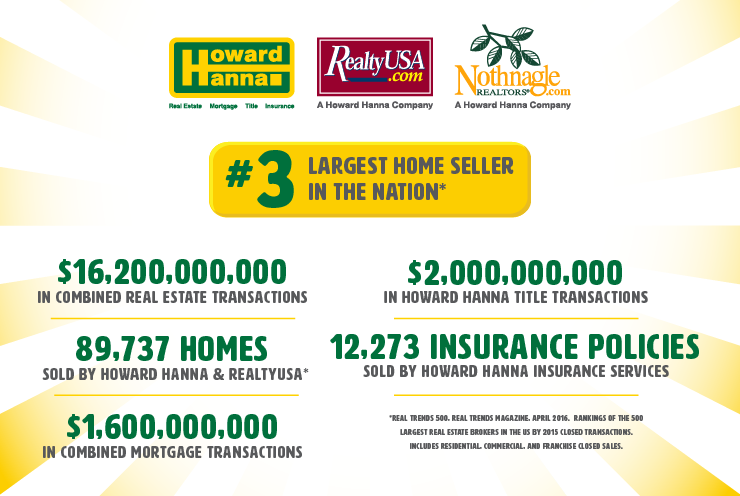 RealtyUSA merges with Howard Hanna Real Estate Services, becoming America’s 3rd largest real estate company and the #1 independently-owned brokerage in the nation. Pittsburgh, PA (July 13, 2016) - At a joint press conference held in Buffalo, New York, Howard W. “Hoddy” Hanna, III Chairman of Howard Hanna Real Estate Services, and Merle L. Whitehead, President and CEO of RealtyUSA, announced that RealtyUSA has merged into the Howard Hanna family of companies. This merger combines the largest residential real estate broker in New York State with the largest broker in Pennsylvania and Ohio. “I have known and respected the Hanna family for years. Their growth in the last decade has been amazing. A common theme of commitment to our agents by developing the best in products and services for customers and clients will assure our combined success,” said Mr. Whitehead. Expansion in Buffalo and entry into the next major metropolitan areas of Syracuse and Albany is a logical move into new territory. 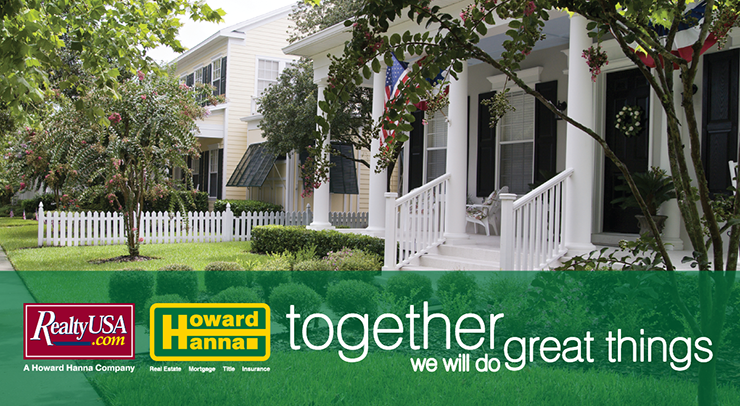 “RealtyUSA and Howard Hanna agents will benefit from each other’s markets for referrals in areas they do not serve. When we expand our reach, everybody within the Howard Hanna family of companies benefits,” said Ms. Casey. will be expanded for both. “We will first introduce our exclusive 100% Money Back Guarantee, which gives buyers added confidence to purchase a home. Additionally, we will be expanding our insurance company, adding approximately 15-20 new positions, as well as increasing marketing and technology systems with another 20 positions throughout the company,” added Hanna. 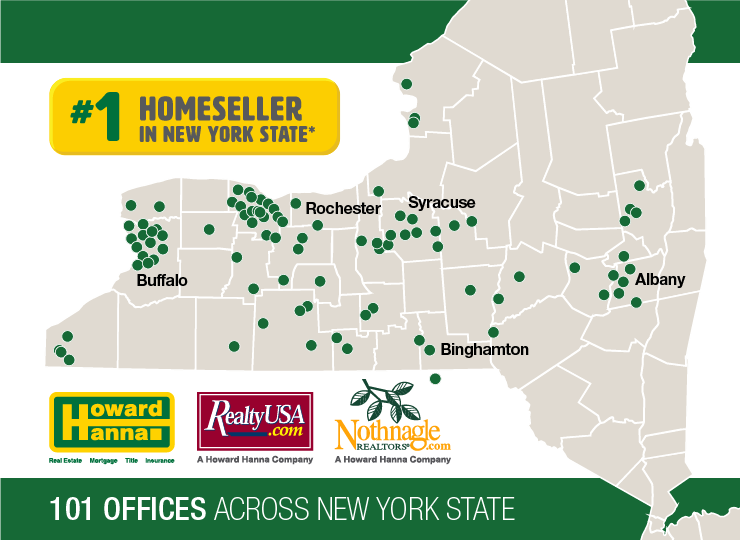 Founded in Buffalo, New York in 1959, the company now known as RealtyUSA emerged as a dominant local, statewide and national real estate leader as did Howard Hanna, founded in Pittsburgh, Pennsylvania in 1957. The two companies have known and worked with each other for decades through relationships in the real estate business and began discussions about six months ago about a possible merger. For more information, please visit RealtyUSA.com, HowardHanna.com or Nothnagle.com. *Ranking based on REAL Trends 500 survey of number of closed transactions in calendar year 2015, Howard Hanna Real Estate Services and RealtyUSA. **Rankings based on the REAL Trends 500 report, May 2016, which ranks the 500 largest real estate brokers in the United States by 2015 closed transactions. Franchise closed transactions included. Learn more about our growing team.